Over the last twenty years the organization of business activity appears to have shifted from an emphasis on bureaucratic organizations toward an emphasis on market structures. Economic self-interest has acquired a new social legitimacy, and the force of traditional moral authorities has waned. In these circumstances the work of Emile Durkheim on the problematics of business ethics and the impact of a culture of self-interest on the stability of society, work that has hitherto been neglected by the business ethics community, acquires a new relevance. 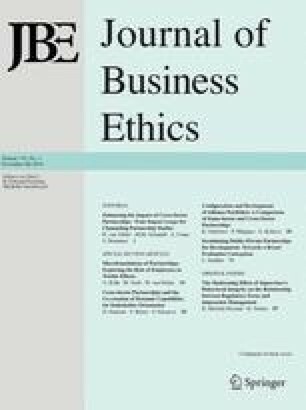 In this paper we review Durkheim's problematization of business ethics, establish its relevance for the contemporary world, and use it to develop an empirical research agenda for the contemporary sociology of business ethics. 1.Department of Management, Birkbeck CollegeUniversity of LondonLondon WC1E 7HXU.K.